The Rotary Club of Georgetown is proud to support the Alzheimer's Research Trust. 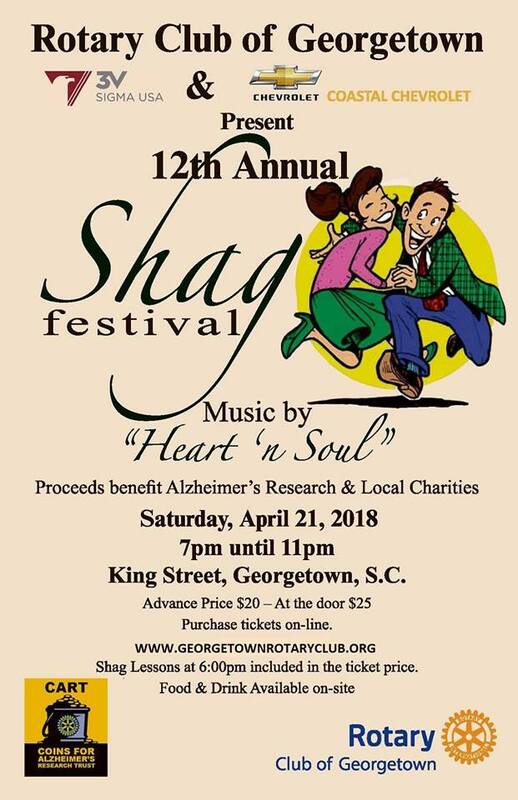 Proceeds raised go to support charities in the Georgetown community and the Alzheimer's Research Trust. Food and beverages will be available for an additional cost. FREE shag lessons will also be available from 6:00 - 7:00 pm. Come early, bring your lawn chairs and your families... we want you to have a great time in helping us support our community and Alzheimer's research!